Arguing an appeal before the Texas Supreme Court on Tuesday, a top lawyer for the state contended that “money isn’t pixie dust” when it comes to improving public schools and urged the state’s high court to either dismiss or remand a lawsuit brought four years ago by nearly two-thirds of the state's school districts. 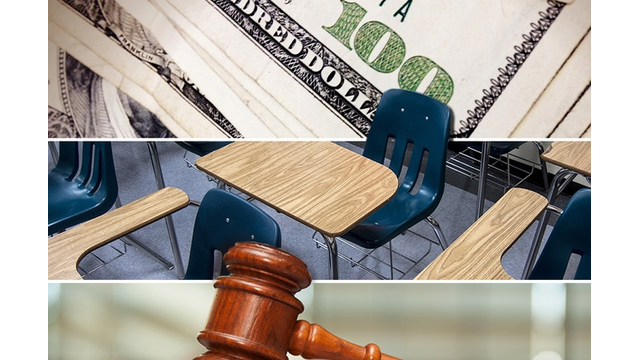 More than 600 districts sued the state in 2011 after state lawmakers slashed $5.4 billion from public education to help balance a post-recession budget shortfall. The districts argued that lawmakers violated their constitutional duty to provide an adequate and efficient public school system by enacting large cuts even as rigorous new testing and accountability systems raised the bar on expectations. Last year, a lower court judge sided with the districts. Then-Attorney General Greg Abbott, now the state's governor, appealed the ruling directly to the state Supreme Court. During a nearly three-hour hearing Tuesday, Texas Assistant Solicitor General Rance Craft urged the nine justices to either dismiss or remand the lawsuit given changes the Legislature enacted during its session earlier this year. "Funding is no guarantee of better student outcomes," Craft said in closing. Since 2011, lawmakers have restored more than 90 percent of the funding cuts, while also enacting policy measures aimed at reducing some student expectations. Meanwhile, lawyers for school districts argued the state had placed higher demands on districts "without knowing the true cost," relying on outdated cost estimates. They also said the vast inequities in the funding system are harming disadvantaged students, including English language learners and those from low-income families who are performing poorly on the state's high-stakes standardized exam known as STAAR. "This system is not doing what it's supposed to," said lawyer Richard Gray III, representing a group of 443 school districts that were the first to file suit. The long-running case was the first the state Supreme Court heard during its new season. Exactly when it will rule is unknown, although if it comes next year, it could force Abbott to call a special legislative session. Some have called the case the most far-reaching school finance lawsuit in state history. Last August, Travis County District Court Judge John Dietz sided with school districts, concluding that the state's school finance system is unconstitutional not only because of inadequate funding and flaws in the way it distributes money to the state's more than 1,000 regular school districts, but also because it imposes a de facto state property tax. Dietz also ruled against two groups that did not represent traditional school districts — Texans for Real Efficiency and Equity in Education (the "Efficiency Intervenors") and the Texas Charter School Association. He concluded that the Legislature was the more appropriate entity to address the issues they raised at trial. This is at least the sixth time since 1984 that a case challenging the state’s school finance system has reached the state’s high court.